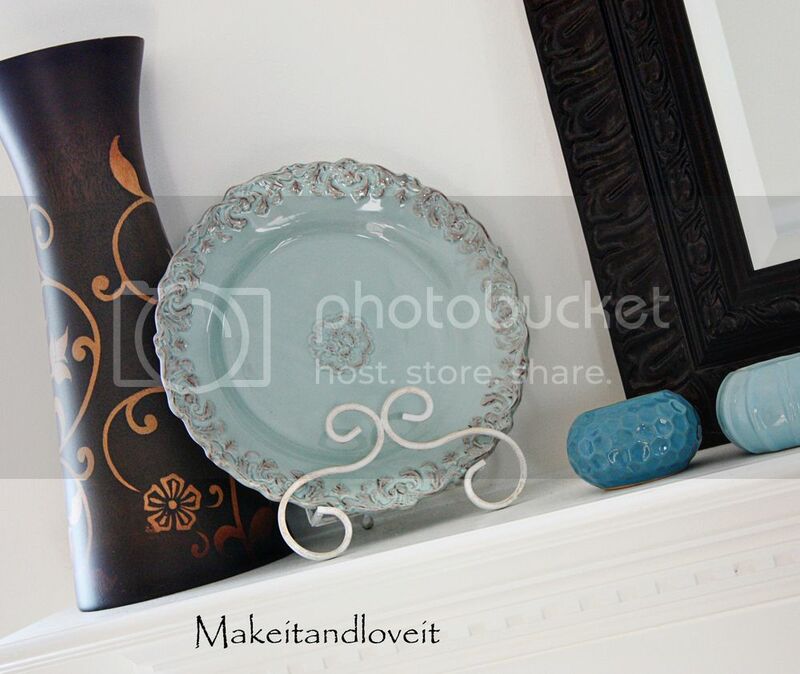 Sometimes it can seem overwhelming to decorate a mantel. It’s such a big space. However, it’s an easy thing to alter…..and why not change with seasons or moods? Our mantel is the home of Some new, some old, and something we found on the beach. And for now, it works. *Once again, a picture is coming for that little frame. I found some really great and unique arrangements found here. (click on the arrow above the images to see more.) I really love the first fireplace with the dish on the wall….and the lemons. So fresh. And also I am lovin’ the unbalanced symmetry arrangements. They aren’t symmetrical but there is still order to them. That’s what I was trying to accomplish with mine. I’m sure I’ll have it completely changed in another month or two. And if you’re looking for somewhere to start, grab something from another room that can be used as your focal point. A big mirror, a big picture, a large figure of some sort. A bowl. But the best place to start is in your garage or steal from another room. You never know what you’ll find. Haha! But just have fun and try out a few ideas. Nothing on that mantel is permanent. So give it a try…. and you're so right! 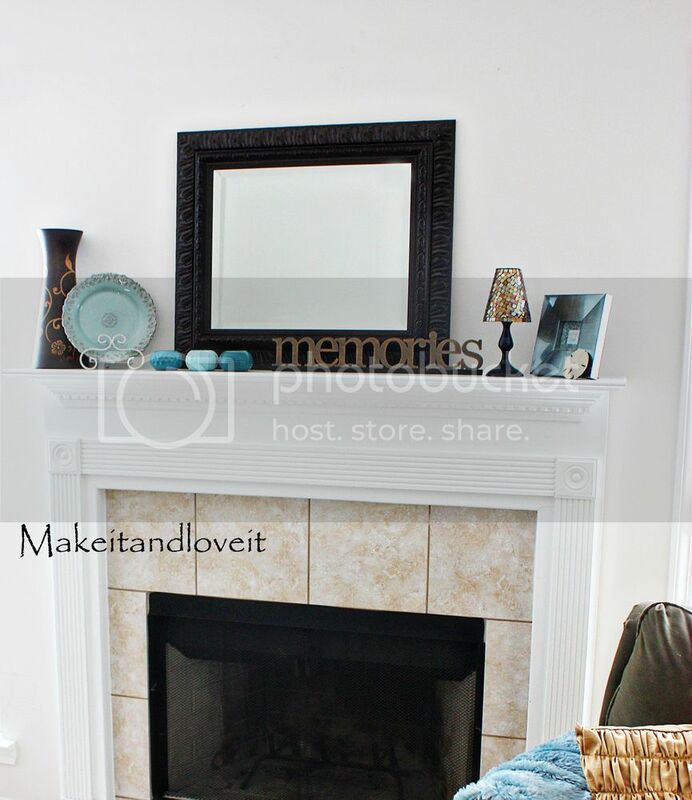 we have two mantels and i have no clue how to decorate them! you gave me some good ideas! 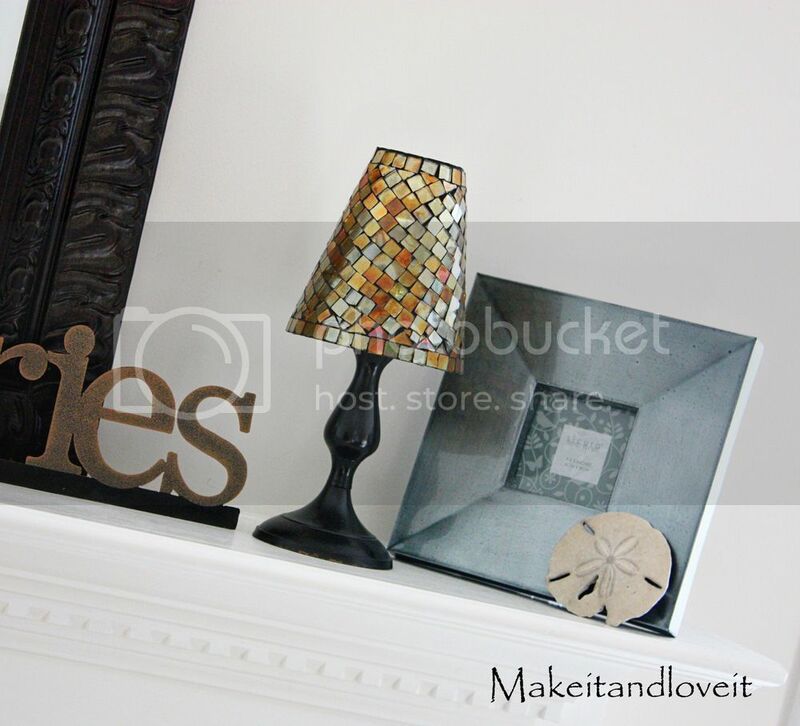 This is just what I needed to get motivated on our mantel! We moved into our place In August and I just keep staring at the blank space. Thanks for the inspiration! Love the look and I love that blue frame! Where did you find it? I have been having some conflicts about decorating my mantel recently, too… thanks for your post! you always have such classy taste in your decorations–simple yet fun. love following you!! OHHH! I love that plate! your setup looks great! That looks great. I just built a mantle and I am trying to get it decorated. I think it is kind of tough. You nailed it. I would love to have this problem. But right now, my computer is in front of the ugly tiled fireplace. I live in Arizona, in an apartment. Would someone please tell me why they have fireplaces in AZ in an apartment complex??? I love the colors on your mantel, by the way. Fun and fresh! It's all so pretty, and I have to have a plate like yours! :) What a perfect color. i just spent the last hour drooling over your blog. i wish i had your creativity. i think we should be the best of friends. Great post! Looks like I'm not the only one who gave you a Beautiful Blogger Award! You are popular! we normally see them (rarely) about the size of a large coin. so beautiful! I wish I had a mantle to try this on. Do you have any recommendations for those of use who want a mantel look without a fireplace? Hello from Portugal. Lovely blog…i read every day :D tell me something, please….Where did you buy the word " memory" ? I just loved to have one. Hi Sara, I got it from a local craft store about a year ago. Sorry, I wish there was a link online somewhere to send you, but I don't have one. Sorry about that! I absolutely love that plate. I had forgotten about your mantel and my love for the plate and found it so funny that I found this plate today at Marshalls for $3 and an hour after buying it, it hit me why it looked so familiar. Thanks for always providing inspiration! Thank you so much for this post! I totally used the links and ideas that you gave and re-did my mantle and for the first time after 10 years of decorating and redecorating that stupid (now no longer stupid) mantle, I have found something that I looove!!!! THANKS! My fireplace is in a corner and I have no Idea how to make it look good. I have a mantle, then above it I have a whole corner empty. Any Ideas? Randy Orr is a Vancouver decorative painter and the founding partner in Distinct Interiors. The founding philosophy for this decorative painter’s creative company remains the same. Distinct Interiors is located in Vancouver, BC and was established in 1992.